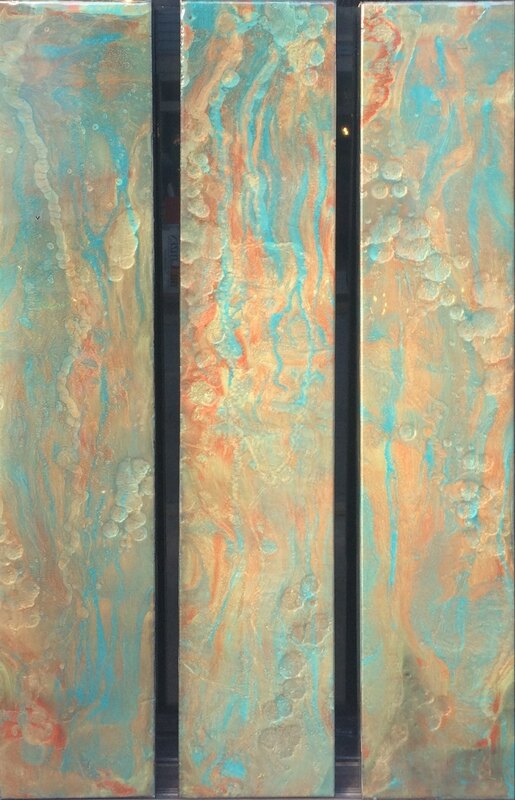 Rick Lowe | Blue & Gold | Original | 60" X 36" X 2"
This artwork can be hung vertically, or horizontally. 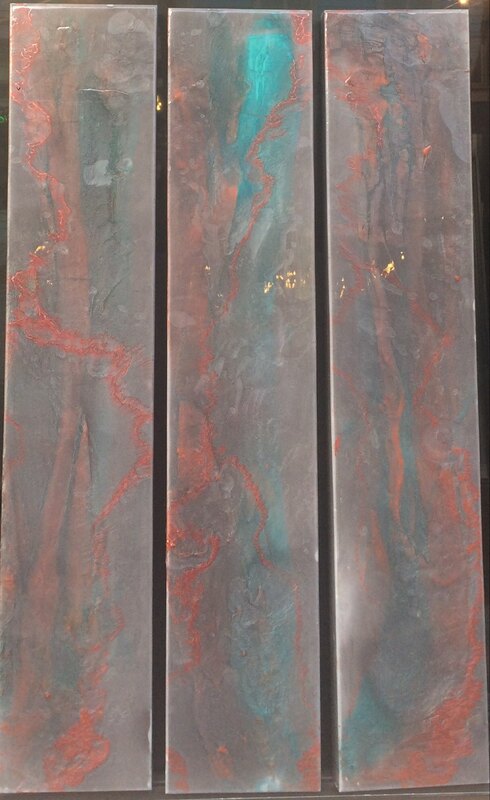 80" X 36" X 2"
Rick Lowe | Copper | Original | 80" X 36" X 2"
60" X 12" X 3"
Rick Lowe | Coral & Teal Triptych | Original | 60" X 12" X 3"
Rick Lowe | Teal & Gold | Original | 60" X 12" X 3"
Rick Lowe, an American artist, is shaping the resin movement in the global contemporary art sphere. His bold, expressive style has challenged the traditional techniques of manipulating resin, redefining the process entirely. His work has regenerated this form of art through an innovative and newly-patented style no artist has been able to achieve. Lowe was introduced to his passion of working with resin at a later age. After experimenting with concrete, metal, and glass, Lowe decided to try his hand at resin and the results were paramount. 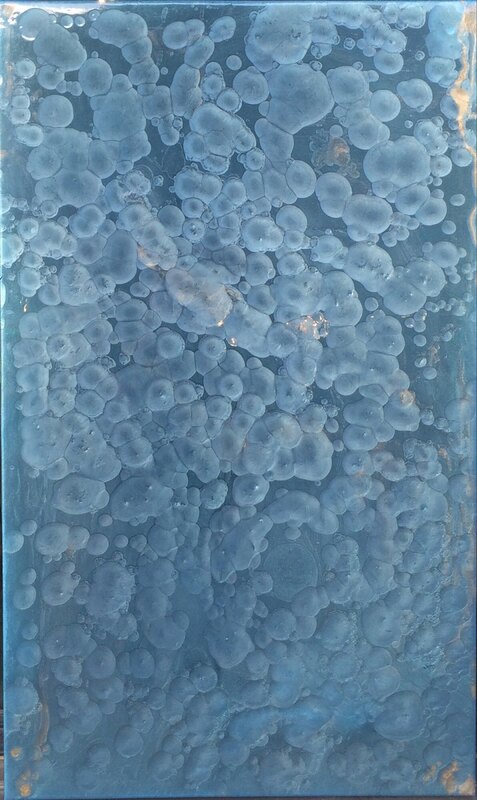 Lowe has transcended resin work by infusing industrial dies, metallic colorant, and alcohol ink. After chemically etching, Lowe suspends his work giving the appearance of a three-dimensional image. The artist is currently featured in Key West Gallery.